UAE is a non-member of the Hague Convention. Hence, all overseas documents educational or non-educational like marriage certificates, birth & death certificate, transfer certificate of children from school, etc. must be legalized through attestation. 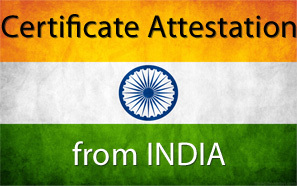 UAE accepts the attestation done by their Embassy in New Delhi and Consulate in Mumbai, provided the documents are first attested by Consular Section of Ministry of External Affairs, Government of India. For UK documents, first these documents must be notarised by a solicitor and then by the Foreign & Commonwealth Officer (FCO). The final port of call is the legalisation department of UAE Embassy. Similar is the situation for American, Canadian and Australian documents. This process is long and tiresome. Ramadan Global can help getting the Indian, British, American and Australian documents attested within a very short span of time. Police Clearance Certificate can also be attested through Ramadan Global. Our company offer services in passport renewal, change of address, endorsement of spouse name in the passport, reporting the loss or theft of passport, issuing new passport, getting the non objection certificate for the new passport and all sorts of affidavit typing. Ramadan Global help individuals with international mobility to enlarge their destinations worldwide. We are the most secure way to apply for employment, educational, family and business categories of visa. We most happily process visa for individuals and corporate. Document Clearance is a specialised area which requires knowledge and know how. Lack of clearance from government or customs can become obstacle in any type of venture to an individual or an organisation. We do the paperwork and get it cleared for economic, immigration or labor department with our right contacts. We offer many other personalised services also. Last, but not the least, we are introducing low-cost typing services. The authorities in Middle East require all documents in typed format from authorised centers only. With an in built authorised typing centre, our clients are free from the hassle of looking for other typing centers.